My Name is Sam and I am an Ofsted registered childminder. I am also known as 'mummy' to a very strong willed 5yr old and have very high standards for childcare expectations with my daughter. It is these expectations in which I base my service. I live in a large townhouse with a large secure/private garden. The play room is on the ground floor along with a downstairs toilet available for use by the children equipped with steps, toilet training seats and potties. There is free parking on all surrounding roads and I am located 10 minutes walk from two mainline train stations. You are welcome to leave your vehicle outside if commuting from the local stations. The play room has been laid out similar to a nursery but with homely features to still create that home from home feeling. Children are able to move around freely in the large spaces or play in one of the dedicated toy areas such as a 360 degree play kitchen, snuggle up with a teddy in the reading corner or try their hand at the expressive arts and design on the double sided easel. There is also a giant tropical fish tank which children often find as an area of interest and enjoy talking about the size and colours of the fish and how many they can spot in the tank. The garden is over 10 metres long with a small seated area and the remaining area has been laid with artificial terf supported by sharp sand to provide softer impact. Garden toys are rotated seasonally and according to weather but range from, slides and swings to a giant swimming pool and inflatables for the summer as well as hoola hoops, tunnels, balance beams, balls, bowling, mini golf sets and tents for shade. Garden time is encouraged at least twice daily and in the summer we will spend as much time outside as possible with picnics, games and in the pool. There are various non-hazardous plants around the garden for the children to touch and feel, increasing their understanding of the world around them. There is also a vegetable and fruit patch where fresh strawberries, blueberries, raspberries and tomatoes are harvested when in season, giving children a chance to plant, grow and eat their own food understanding where food comes from. I believe in bringing out the best in all children by working alongside parents to deliver that home from home comfort and reassurance. Children thrive when confident and this shows in their development. The routine is loosely structured and although we follow the EYFS requirements, there are elements of Reggio Emelia and Montessori approaches incorporated. Your child's learning journals are run online through Kinderly where everything is documented and emailed over to you at the end of each day so you can see what your child has learned throughout the day, from activities and daily menu to observations with images of your child in action. Various activities and outings are planned weekly to meet children's needs and interests with an annual summer trip to a theme park. I will not only care for your children, I will educate them through effective play to become the best that they can be. I have always enjoyed caring for children and seeing them develop and grow. 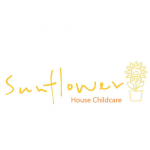 I have over 5 years experience in childcare and after school pick-ups with the same clients for a number of years from newborn up to pre-teens. I also have experience as a Foster Care support worker with experience of challenging behaviours. I currently have limited space for under 5's and over 5's. I am available for pick-ups from Culvers House Primary School which is a 5 minute walk away. I am also available for pick-ups from other local schools in the area. I have a car fully equipped with child seats suitable for children up to the age 12. I also offer a home pick up and drop off service. Please note I am closed on Bank holidays and take one - two weeks holiday per year which are planned alongside parents to minimise disruption.